Attention State Retirement System Retirees: Maris Update! This coming January, the Massachusetts State Retirement Board (MSRB) will implement the first phase of its new information system, MARIS, replacing the Board’s current forty-year-old computer system. For retirees of the Massachusetts State Employees’ Retirement System (MSERS), the first monthly benefit payment using MARIS will be the regularly scheduled payment for January 2017. For more information or to access the State Retirement Board's new MARIS system, click here. 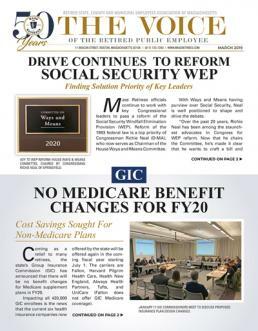 We must emphasize that MSERS retirees will continue to receive their benefit payments in the same manner as they currently receive them, either by direct deposit or paper check. See Page 13 of the Association’s current (January 2017) issue of The Voice for a listing of the 2017 direct deposit and check mailing dates. Also, be advised that each current benefit recipient will receive a benefit payment statement by mail for the monthly payments received on November 30, 2016, December 30, 2016 and January 31, 2017. The MSRB has asked that members retain their statements for comparison purposes in the event you have questions regarding your first payment generated in MARIS. Please note, while the MSRB transitions to MARIS during the period from approximately December 19, 2016, until January 9, 2017, members of the state retirement system will not be able to make changes to account information. Members or their families may continue to contact the MSRB with the information which we will then maintain until they can input it into MARIS. As always, the MSRB staff are available to assist members as needed. For more information about MARIS be sure to review the MARIS communications that were recently mailed to members. MSERS retirees may also visit the MSRB website at mass.gov/treasury/MARIS or contact the Board at (617) 367-7770.